The garden occupies an area of more than 250 hectares. 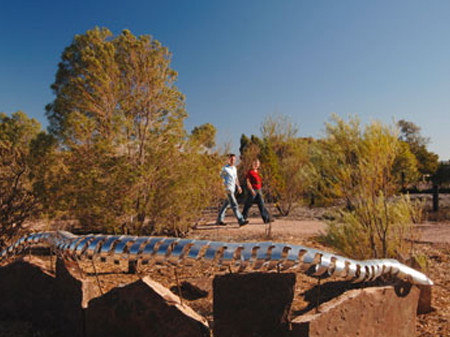 About 12 km of walking tracks have been established to allow you to view the existing and introduced arid native plants. 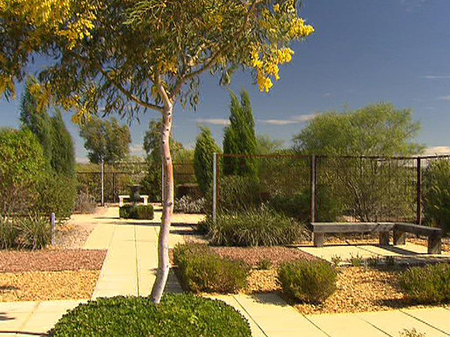 Group plantings with interpretive signage showcase the various regional arid zone environments of Southern Australia. 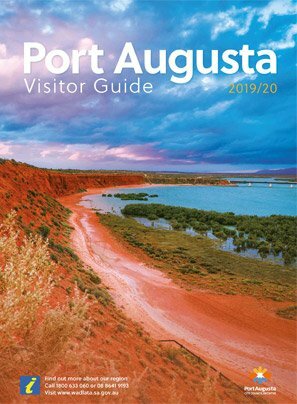 It is free to inspect the garden, however you can either pick up a self guided tour brochure from the Visitor Centre to learn more about the arid land plants yourself or stroll around at your own pace. Most of the plants are labled with many informative interpretive signs to give you a little more information. Experienced Tour Guides are eager to show case their Garden to you with Guided Tours being available most weekdays at 10am (charge apply). 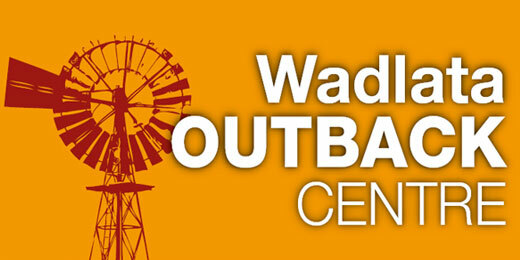 For large groups, including weekend tours by appointment. The Garden is also a bird lovers paradise with two bird hides incorporating interpretive signage. A number of watering holes and nesting boxes have also been established throughout the Garden to help attract birds to attract the real enthusiast and to balance the ecology of the Garden. The new bird brochure, with brilliant hand drawn illustrations by Peter Langdon, will help you locate and provide that little bit more information about our native birds of the Sandhill and Bluebush Plains. The AridSmart Display Gardens will show you what you can grow in your water wise garden at home. If you like what you see, you can now purchase the most popular native plants from our new AridSmart Gift Shop in the Visitors Centre. We encourge everyone to be AridSmart. The licensed Bluebush Café in the award winning Visitor Centre has some of the best food and cakes in town, all made on site. The table service is a treat. You can enjoy a freshly brewed espresso or a glass of regional wine with mayube some of the native bush herbs and spiced infused menu choices. Try the bush flavoured Tuna Patties, which is now their signature dish. The Quandong Slice or cheesecake, the Lemon Myrlte Pancake drizzled with Quandong Sauce is really popular. This is the newest product available and it is walking out the door... Take a stroll around the Garden while enjoying one of their new exclusive lines of Quandong, Native Lime, Wattleseed or Lemon Myrlte Icecream, served in a waffle cone or you can dine in the Bluebush Cafe in style. The WMC Herbarium - Meeting Room can be hired for meetings, conferences or for a small intimate celebration. Monday to Friday 9.00am - 5pm. Open all public holidays with the exception of Christmas Day, Boxing Day, New Years Day & Good Friday. The Garden opens at 7.30am and closes at sundown, allowing time to view the birds at their best.